The carbohydrate structure to which ECL binds is frequently found in membrane and serum glycoproteins of mammalian origin. Sialic acid substitution on this structure appears to prevent the lectin from binding. This specificity offers an opportunity to utilize agarose bound ECL to isolate or fractionate mammalian glycoproteins. 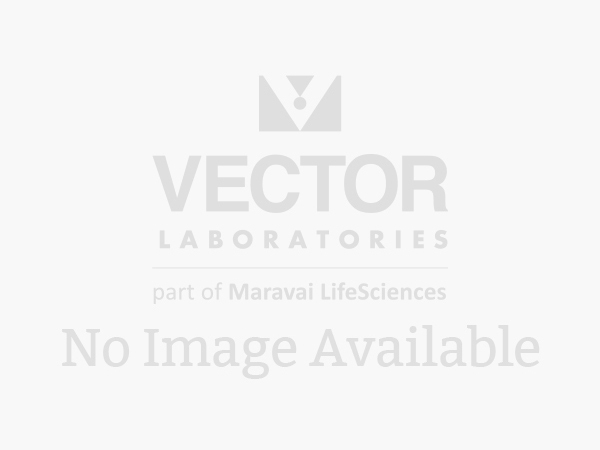 This lectin has been reported to be useful for the isolation of human natural killer (NK) cells using a negative selection panning technique (protocol available upon request or on our website). Human NK cells appear to lack accessible surface carbohydrate structures required for binding ECL and, unlike other mononuclear cells, do not adhere to ECL-coated culture dishes. Since this procedure involves a negative selection panning technique, a high recovery of viable NK cells can be obtained. The adherent cells can also be recovered by incubation in galactose or lactose. Biotinylated Erythrina cristagalli lectin has an appropriate number of biotins bound to provide the optimum staining characteristics for this lectin. This conjugate is supplied essentially free of unconjugated biotins and is preserved with sodium azide. Erythrina cristagalli lectin consists of two different subunits of approximately 28 kDa and 26 kDa. The carbohydrate structure to which ECL binds is frequently found in membrane and serum glycoproteins of mammalian origin. Sialic acid substitution on this structure appears to prevent the lectin from binding. This specificity offers an opportunity to utilize agarose bound ECL to isolate or fractionate mammalian glycoproteins. This biotinylated lectin is an ideal intermediate for examining glycoconjugates using the Biotin-Avidin/Streptavidin System. First the biotinylated lectin is added, followed by the VECTASTAIN ABC Reagent, Avidin D conjugate, or streptavidin derivative.